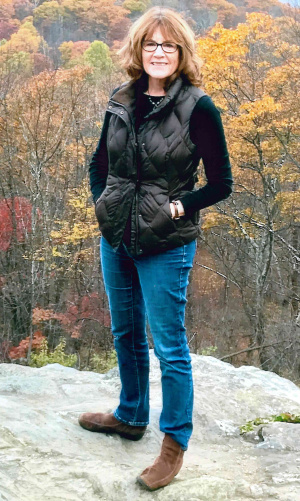 Joanne J. Kuniholm, 62, of Lancaster, passed away peacefully on Friday, April 12, 2019 at home. She was the loving wife of Jason H. Kuniholm with whom she shared 38 years of marriage. Born in Winchester, MA, she was the daughter of the late Charles and Marjorie Foye Jeanes. Joanne was a graduate of Messiah College and Hahnemann University, and became a Marriage and Family Therapist. She was a member of East Chestnut Street Mennonite Church. Joanne was a devoted wife, mother, daughter, and sister. She enjoyed the natural world, nurturing both the land and the people on it—family, friends, and clients. Along with her husband, she is survived by a daughter, Mia Rogers, wife of Jonathan, two sisters; Carolyn (Robert) Horton, and Linda (Thomas) Joyce, two brothers; David (Geraldine) Jeanes, and Stephen (Deborah) Jeanes, and many nieces and nephews. She was preceded in death by her parents, and a brother; Paul Jeanes. Relatives and friends are respectfully invited to attend a memorial service on Saturday, April 20, 2019 at 2:00 PM at East Chestnut Street Mennonite Church, 432 E Chestnut St, Lancaster, PA 17602. Interment will be private at the convenience of the family. In lieu of flowers, memorial contributions may be made to Church World Service, 308 E King St, Lancaster, PA 17602 or to East Chestnut Street Mennonite Church for the Chestnut Housing Corporation at the address listed above. We remember Joanne so fondly during her brief time at Lindale Mennonite Church. We pray for God’s peace and comfort during this time of loss. There no words, just love and sorrow for your profound loss of Joanne. The light and radiance of her spirit will live on in you and in all those within the sphere of her love, her laughter, her kind spirit, her wise counsel. Condolences to you & your family on the passing of your wife Joanne. I learned to know you while my late wife Janice & I served as Deacon couple at Groffdale Mennonite Church several years ago. Janice also passed away at age 62 like Joanne. Blessings to you & your family during this time of grief & loss. I am so so sorry for your loss. Joanne was a lovely woman, warm and funny, and I’m sure you have tons of amazing memories. I pray for you all. Dear Jason , You are in our prayers. Words at a time like this are inadequate. May God hold you tightly as you grieve. In Christ’s love. Jim , Chelle , Kellie and Paige Keener. PS. God used Joanne’s gifts to help healing begin in our family during some of the hardest trials we have ever faced. We always sensed her genuine caring and Love for us. We truly loved her , you and Mia. We will miss her greatly. We are so sorry to hear of Joanne’s passing, but sense peace in knowing that God’s loving arms surround this lovely woman. We truly enjoyed our “chats” over the fence when we lived at 450 East Chestnut Street. Peace and joy radiated from her, and touched us even though we only shared a small glimpse of her beautiful journey on this earth. You are in our thoughts and prayers as you go on holding special memories in your hearts. God’s peace and comfort be yours.